In this article, we’ll cover the basics and benefits of Facebook’s new Lifetime Value Custom Audiences and Value-Based Lookalike Audiences. Over the last few days, Facebook has unveiled and updated a set of new tools designed to connect you with better potential customers, meaning better business and better long term ROI. The newest to Facebook’s arsenal is the Value Optimization tool. This works with the Facebook Pixel, an analytics tool that helps you measure the effectiveness of your advertising. It’s designed to consider users’ buying behavior and based on that, identify which users are most likely to make a purchase from you. Ultimately, this will eliminate much of the cost traditionally associated with finding and advertising to not only the correct audience, but those most likely to become high-value customers. Not only that, but advertisers stand to see a greater ROI by targeting those customers specifically. Facebook’s other tool is a Value Based Custom Audience, an addition to its existing Lookalike Audience. The Lookalike Audience is Facebook’s unique way of reaching new people who are similar to your existing customers, and therefore more likely to be interested in your business. Website visitors: Install a Facebook pixel on your site. Then create Lookalike Audiences based on people who have visited specific pages on your website. Rather than creating a new audience, the Lifetime Value Custom Audience simply adds another column of data to one of your existing audiences. It’s important to note that the new value-based feature only works with the Custom Audience option, therefore requiring you to upload your own list. First, What Exactly is Customer Lifetime Value? Before we get to the benefits of Facebook’s new feature, we need to cover the basics of Customer Lifetime Value (CLV). CLV is the net value you expect to derive from your entire relationship with a customer. It will make your company more profitable and help you determine the ideal customers to focus your marketing and sales efforts on. Someone with a high CLV is, in short, one of your best customers. They are likely to make multiple purchases and therefore produce high revenue for you. Conversely, someone who makes a single purchase would have a much shorter relationship with you, and a drastically lower CLV. So, if Facebook knows which customers you perceive to have a high CLV, it can focus on finding users with similar interests and activities to those target customers and promote your campaigns to them. Got It. So Why is Customer Lifetime Value Important, and How Do I Calculate It? Because it will save you time, energy, and money. It will make your company more profitable and help you determine the ideal customers to focus your marketing and sales efforts on. The parameters for calculating Customer Lifetime Value will be different depending on your business or industry, and the potential drawback in Facebook’s new feature is that it doesn’t calculate lifetime value for you; rather, to use the new ad features, you will need to provide Facebook with your own customer list with a column for each customer’s lifetime value. Luckily, there are tools available to help. You can use software to generate a report or choose to enter it manually. Jon Loomer has an excellent article that goes through each method here. Either way, before you begin calculating your CLV and employing Facebook’s ad campaigns, you’ll need to take a look at your current customers and business goals. Who are your most valuable customers, and what makes them so valuable? How could you track this? Then, ask yourself how much these customers typically spend, how often they make purchases and how long you think the relationship is likely to last. The answers to these questions will help you form what metrics you should use to calculate your Customer Lifetime Value, and is worth investing some time in to make sure your results are as accurate as possible. Again, a little more work up front will go a long way in the end. Once you’ve compiled your CLV file, you’re ready to create your Value-Based Lookalike Audience. Remember, Value-Based audiences are different than regular Lookalike Audiences because your file includes a specific data field for Customer Lifetime Value. If you already have a Custom Audience set up, you can simply add the CLV data to the existing audience. If not, you’ll need to first create a Custom Audience. To get started, go to the Audience section of your Ads Manager. If you have an audience, you’ll select which Custom Audience to use. Or, click Create Audience and select “Add customers with a current and predictive value attached”. When prompted, select Customer File. Facebook has included an optional template here that you can download to set up your data more easily. If the feature is available to you, you will then have the option to select “Customer file with lifetime value (LTV)”. At the Customer File stage, you will be asked to select one or more customer identifiers. These are demographic data such as age, gender, location and email that Facebook uses to match you with customers. It suggests using as many identifiers as possible as columns in your file to produce better results. You will also be asked to include a column with a range of customer values. Once at that stage, Facebook offers a few pointers and best practices to help you get better performing lookalikes. The remaining steps will help create your Lookalike audience, and you’ll be prompted through the edit data mapping, upload and creation, and create a lookalike stages. How does Lifetime Value Improve Your Audience Performance? As we discussed earlier, Facebook will target those customers with similar characteristics to those who have already proven to be of high value. By connecting you with better potential customers, you’ll ultimately get better business and better long term ROI. Not only are these users more likely to do business with you, they’re more likely to provide a high LTV, meaning repeat business. Facebook does a good job of breaking this down for you as well. 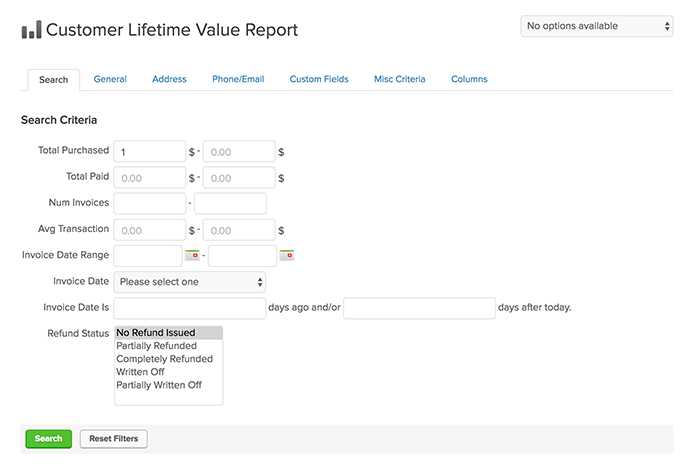 It recommends using Lifetime Value for events that happen down the marketing funnel (ex. purchases) and long term business goals like Return on Advertising Spending (ROAS). It also states that initially, your cost per result may be higher than usual, but they recommend evaluating performance over a longer period of time. Ultimately, if your lookalike audience is performing well you should see an improvement in ROAS. Now that we’ve broken down the basics of the new Lifetime Value features — and if the feature is available to you — it’s your turn. Remember, the success of your Value Based Lookalike Audience lies with your CLV calculations, so spend some time making sure your data is an accurate reflection of your customers and their habits. Once you’ve made your file with as many identifiers as you like (including, of course, CLV), you’re ready to create your Lookalike audience. Both new features are designed to help maximize your profit while minimizing your up-front cost, and connect you with quality customers that will prove to have a high value. They are each potentially significant, and if they can deliver the desired results could prove an extremely valuable addition to Facebook ad campaigns. Sound interesting? Then give these new Lifetime Value tools a try.